We warmly welcome Ms. Pfeffer to our team. Ms. Pfeffer has joined SEDLÁK & PARTNER as Consulting Assistant on October, 10th. As such she will accompany our consultants in projects on site and professionally support project preparation and follow-up. 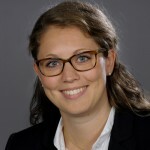 Ms. Pfeffer had professional training in marketing communication at the “Beruflichen Medienschule Hamburg Wandsbek” and successfully completed her bachelor studies in Business Psychology with a major in Organizational Psychology and Consulting as well as International Management. In the course of her practical work as a sales manager, Ms. Pfeffer was able to gain a better understanding of the different fields and topics of the personnel and organization consultancy. She is now looking forward to enriching SEDLÁK & PARTNER with her theoretical and practical knowledge and experience. For our part, we are delighted to work with Ms. Pfeffer and wish her all the best for her future career at SEDLÁK & PARTNER.